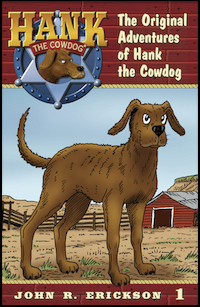 Did you know that Hank is on two of the National Education Association's lists of books that every kid should read?! Most importantly, Hank is on the list of the TOP 100 books voted-on by kids all over the country: "Kids' Top 100 Books"
He's also on the "50 State Booklist", which is a list of books that the National Education Association suggests as part of a fun activity of "traveling" across a map of the U.S. by reading a book that takes place in each of the states. We hope you continue to enjoy his adventures!